How many times a day did you use your pen? 10 times or 30 times. How many times did you take good care of it? never, perhaps. Whether you are student, artist or journalist, a pen represents your personality and professionalism. Just like the sword of warriors, a pen may not change your writing style, but to boost your confidence for each task you’re handling. Presenting the world’s first precision semi-circle pen that makes each of your writing work incomparably smooth and comfortable. Become the artist of your own writing on a whole new level of comfortability that you probably never experience before. Let’s now forget about holding the pen in a perfect way like those fountain pens or old pens out there because the best quality pen is right in your reach now. This will make you feel free from all the hurdles of making the perfect grip or preventing the problem such as pen rolling out of the desk. The Pen Article 1.0 is full of features that are going to make you feel like how it stands out from others. When holding it, the solid high-grade stainless steel with neodymium magnets will give you a rigid and smooth feel. In fact, Pen Article 1.0 has a patent on its ergonomic shape. It’s long lasting, the pen works with more than 25 refills and with every pen you purchased, one additional pilot G2 ink will be included in the package for free. 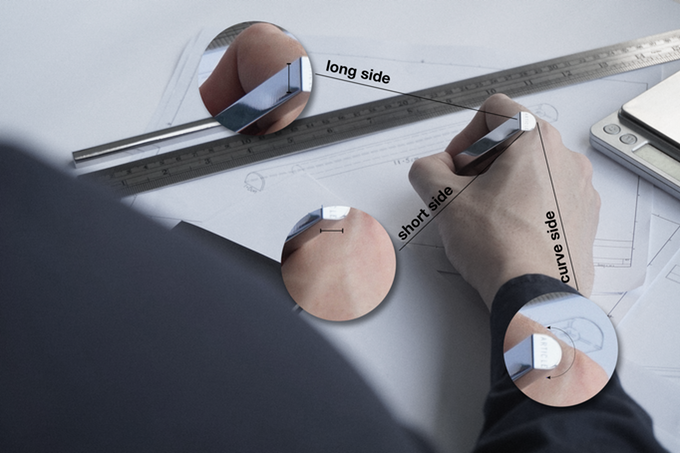 The pen is designed in such a way that your thumb will rest on the short side and index on the long side of the pen giving you all the comfortable a pen can provide. If you use pens a lot, Pen Article 1.0 is going to be your favorite in no time. In addition to the comfortability, it also shows your special taste in this modern pen. Either you are an engineer, calligrapher or a student all you need is just simply holding the pen and you will fall in love with this pen. The creator understands that everyone has a different style of using the pen and they have engineered it in such a way that everyone can discover their perfect grip in no time. After experimenting with so many shapes and design, the team has finally finalized at a unique design that no one thought of. One of its kind, in short. Not only with the design, it is perfect with the quality of material it is made up with. 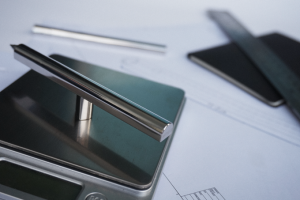 The stainless steel which is used is not only of superior quality but is also well-balanced in weight. It’s corrosion resistance and doesn’t make you feel like the pen is heavy or overweighted. For the overall appearance, the pen is well-coated and hand-polished to give a great finishing touch to the pen. And therefore, each pen will develop a natural patina that will be unique to just you. The high quality strong magnetic cap made up of neodymium magnets will always be easy and smooth for you to put-on or remove the pen cap and, at the same time, adding a minimalistic and sleek look to it. You will get addicted to it and even long hours of writing will make you feel like a breeze. 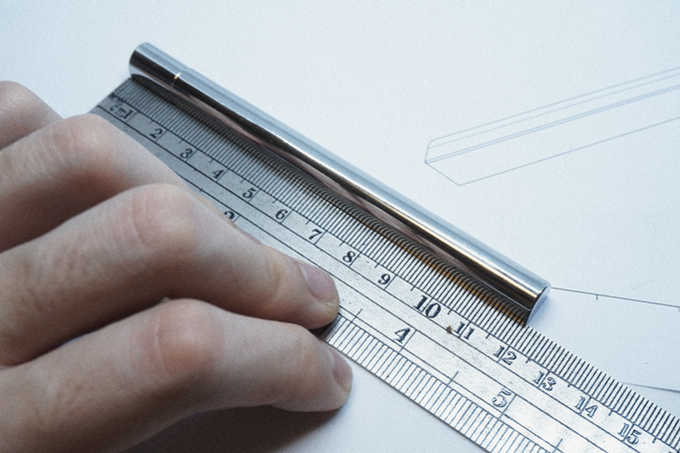 The pen is 120mm long, 8mm thickness and 10mm in width. It weighs 45 g with cap and Pilot G2 ink refill inside. The replacement of refill is easy — remove the front cap, insert the refill and you are good to go. The pen barrel design is capable of housing more than 35 types of refills and ensures a stable and non-shaky hold on refills, without any modification and all. 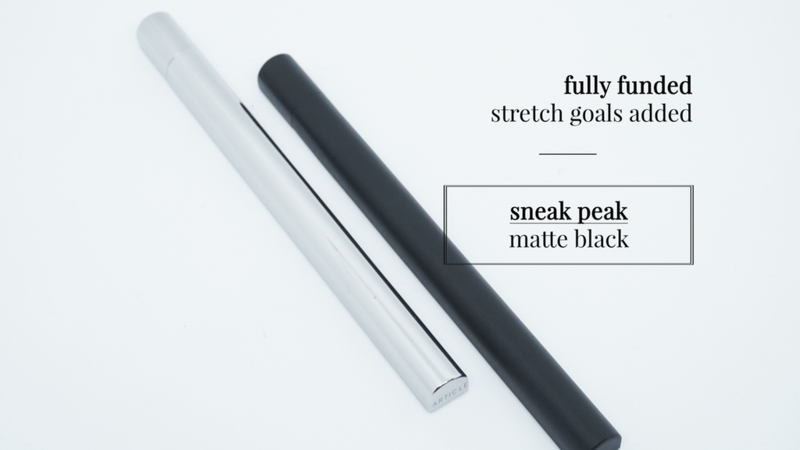 For refills, you will have two colors of choice (Black / Blue) and three tip types to choose from — Ultra fine (0.38), extra fine (0.5) or fine (0.7). Each person has their own way of holding up a pen, there’s no “best” grip. Thus, the design may not suit you. Afterall, it’s still worth a try if you’re one of those vintage pen fanatics/collectors. Considering other similar product in the market, despite the design, Pen Article doesn’t seem outstanding and yet, it has an expensive price tag. According to the creator, the profit margin is actually very low and mostly the cost is being used to cover up the manufacturing cost and payment for employees. 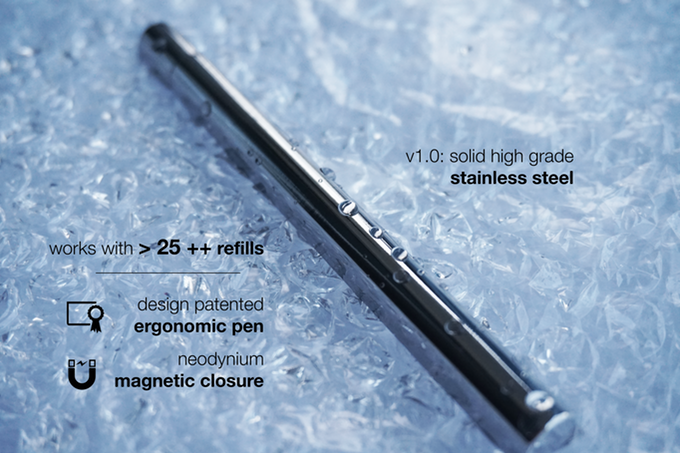 Pen Article 1.0 is now available on Kickstarter for early backers starts at only $45. Grab fast, so that to enjoy up to 40% off future retail price. Check the link below for latest pricing detail and availability.